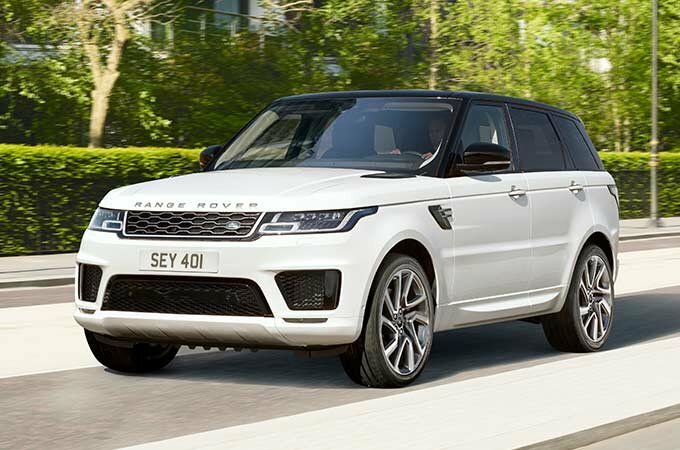 Blending the best of luxury, performance, and efficiency, the 2019 Range Rover Sport PHEV is a revolutionary new hybrid SUV. Drivers will love its performances. Adventure fans will love its off-roading capabilities. Plus, it will meet the expectations of any discriminating luxury buyer with its numerous amenities. Although you may not spot it right away, the charging port is on the front grille. This makes it easy to charge the Range Rover Sport PHEV from either side of the vehicle. A big SUV deserves serious power, and this one has it. Although it is a hybrid vehicle, it produces 398 horsepower and 472 lb-ft of torque. This big SUV can go from 0 to 100 kilometres in 6.7 seconds. It has a maximum speed of 220 km/hour. This plug-in SUV can travel 51 kilometers using only electric power. Then it can switch to its Ingenium engine. Drivers have numerous tools that can extend the electric range. The vehicle charges overnight, and the system can be programmed to use electricity during the least expensive evening hours. An eight-speed automatic provides precision gear changes. All-wheel drive and high ground clearance allows it to go anywhere the driver wants. On the road, it copes easily with snowfall. Off the road, it can handle mud and other difficult terrains. The Range Rover Sport PHEV has the capability to offer cabin pre-conditioning without turning on the engine. This means you can heat or even cool the cabin before departure without wasting a drop of petrol. The spacious cabin is a high-tech cockpit. Drivers have a large Interactive Display screen as well as a Touch Pro Duo for InControl Apps and Navigation Pro. Like the other Range Rover Sports, there are many choices in terms of leather upholstery. A range of colours lets you personalise your choice. You can tuck away your gear in the large cargo hold (780 Liters) or fold the seats and claim more open space. Find your Range Rover Sport PHEV at Decarie Land Rover and take it for a test drive. You'll be surprised at what this plug-in hybrid vehicle can do for you.